One is having a legal fight against beating an opponent after the bell. The other is battling against his loss from a past fight. 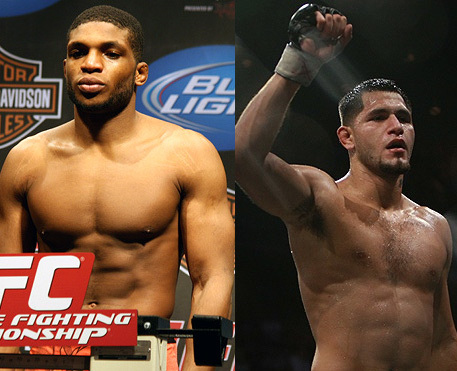 Will Paul Daley and Jorge Masvidal brawl their way out of their respective controversies? That remains to be seen. For now, just place your bet on who will be the welterweight title holder on Shark Fights 13. Shark Fights confirmed in an official release today that Paul Daley now has an opponent. The British welterweight fighter will face the American Top Team standout Jorge Masvidal. Shark Fights 13 will début the North American appearance of Daley after his controversial post fight at the UFC 113. According to Brent Medley, Sharks Fight matchmaker, choosing a contender against Daley is not an easy task. However, Masvidal became a clear choice after hearing that he is returning to the welterweight division. Jorge “Gamebred” Masvidal fought almost every major MMA promotions, and moves back to 170 pounds after giving a large portion of his career to lightweight. His most recent fight was on the Japanese Startup ASTRA against Naoyuki Kotani. But the guy is certainly trying to erase the memory of his most-watched fight against Toby Imada. Gamebred was choked out in an inverted triangle in the semifinals of Bellator Fighting Championships’ first lightweight tournament. The video of the loss was seen over a thousand of times on the Internet. On the other hand, Paul Daley is making a comeback after flying to Australia during his controversy. He has yet to learn his fate about the blow that cost him a spot in the UFC. Daley’s manager, Wad Alameddine, told the media that the Quebec Athletic Commission will conduct a hearing today to address the issue. They are talking about the incident where Daley slammed Koscheck after the final bell of the UFC 113’s co-main event. The manager is confident that a possible punishment won’t interfere with the British fighter’s obligation to Shark Fights. Shark Fights 13 will headline the light heavyweight bout of Keith Jardine versus Trevor Prangley. The event will take place on September 11 at the Civic Center Coliseum in Amarillo Texas.